Here at Tech2o we specialize in designing and supplying innovative television solutions. The ranges we offer consist of Luxury Bathroom Televisions, Mirror Televisions for the home and bathroom & Outdoor Weatherproof Televisions. We offer a variety of different sizes and designs of product that have been specifically designed to cater for a variety of different application in and around the home. 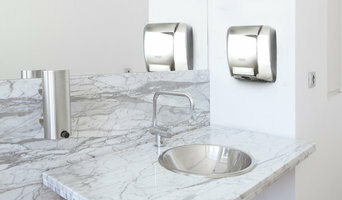 We have designed and manufactured a range of hand dryers boasting the same technology as top brands but at a fraction of the price. At Cookers of Distinction we know how much time and effort goes into choosing the right appliances for your kitchen. That’s why we aim to provide a hassle free service by giving you all the information you need to be able to make the right decision for you. Our high quality cookers can really transform your kitchen and be a focus point, as well as looking great too. To add those final finishing touches why not have a look at the kitchenware and glassware we have to offer. We offer a highly professional service where we can advise about different cookers, extractors and kitchen equipment, as well as install them, making it a lot less hassle for you. We are an official and exclusive distributor of many brands, ensuring you have complete peace of mind when choosing Cookers of Distinction. 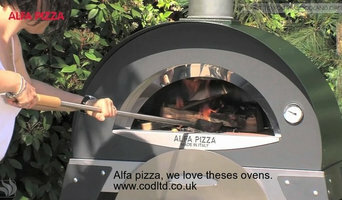 At Cookers of Distinction we offer: Cooking Appliances Extractors Outdoor Cooking Products Glassware Kitchenware Installation Our team are highly trained professionals who can install your appliances, as well as advise on the best options. We aim to be as flexible as possible to fit around your working day. Our cooking appliance showroom will be located in Ibstock, Leicestershire soon , East Midlands making it perfect to cater for the whole of the UK. If you have any queries please do not hesitate to get in contact, we are more than happy to help. For a free no obligation quotation please fill out our easy to use form, or alternatively call 01530 443648 today! 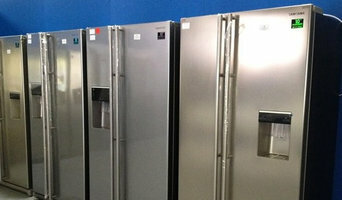 HomeSource4U Limited are electrical appliance specialists supplying new and graded top brand domestic appliances. This operation is supported by our customer focused approach which covers the complete package of services including ordering, supply, installation and delivery plus the disposal of any waste/packaging. We provide a repair and maintenance service that is delivered by a team of highly skilled in-house engineers. We have accounts with the major suppliers which enables us to offer competitive prices for the supply of appliances and replacement parts, enabling us to be responsive to the full variety of customer requests. HomeSource4U supplies letting agents, housing associations, landlords, local authorities, charitable organisation and the general public throughout the East Midlands, operating from our retail and workshop premises located on Carlton Road in Nottingham. We pride ourselves on being able to be responsive to customer requests for appliances and repairs within 48 hours, HomeSource4u are members of DASA (domestic appliance service association: membership number 818). Robeys offer a range of stunning wood burning and gas suites and internal and external home heating and outdoor heating and furniture ranges from some of the worlds best known suppliers. Amandas Silver Boutique sells high quality jewellery at affordable prices. We have jewellery suitable for everyone. Gold and silver jewellery for Men, Women and Children. Distributor for small domestic kitchen appliances providing products to retailers & consumers across the UK. Building your home recording studio? Take a look at our selection of audio interfaces, studio monitors, Midi controllers, Synthesizers, DAW and plugins, microphones and headphones. Looking to smash out a new mixtape or update your DJ Booth? We have the latest DJ equipment, DJ controllers for the Digital DJ. As well as CDJ’s decks, mixers and for the old school analogue DJ, direct drive turntables at an affordable price. Want to test new equipment with your own music? Book a free session to test drive the gear you want in our Store Studio. Featuring brands like Focusrite, KRK, Nord, Novation, Native instruments, Adam Audio, AKG, Apogee, Pioneer, Denon DJ and more. Our friendly team of experts are here to give advice on everything from making a decision with purchases to giving guidance with your passion. We are a DJ & Producers store created by Dj's & Producers a like. Our Leicester Locksmith specialise in a large array of locksmith skills from getting too in, in a nondestructive method when you’re locked out to opening UPVC doors when the locks have failed. As well as installing new locks. We also cover commercial properties in Leicester from shop doors to factory units as well as residential homes. If you’re struggling to find home appliances from your local department or electrical store to fit with your design, browse through the Nottingham, Nottinghamshire appliance professionals Houzz lists here. From ovens and ranges to wood burning stoves and vacuum cleaners, there are appliance retailers offering all sorts of home convenience items. While you probably know what type of appliance you’re looking for, installing it could be another matter. With toasters, microwaves, blenders, vacuum cleaners and other plug-in and play devices, you may not need much help, but ovens, wood burning stoves, range cookers and extractor hoods will need more work. Finding an appliance installation professional in Nottingham, Nottinghamshire on Houzz will mean they will handle the complicated setup of your appliance without you having to worry about confusing instructions and dealing with gas plumbing. You can find trusted appliance brands on Houzz for products that you can rely upon time and time again, but sometimes you may be after a unique item that can’t be found in every other kitchen. Browse through Houzz’s selection of Nottingham, Nottinghamshire appliance professionals to look at the bespoke and exclusive appliances that are made and produced by Nottingham, Nottinghamshire appliance retailers. A professional can also advise you on the latest technology that’s available for various appliances; whether that’s a fridge with extra gadgets and features, superb surround sound systems or super-powerful but eco-friendly vacuum cleaners. We can all become very reliant on certain, trusty appliances, so when they die on us it may seem sacrilege to throw them out and find a replacement. Instead, look for Nottingham, Nottinghamshire domestic appliance repairs professionals on Houzz who can fix your electrical appliances for you. Oven, dishwasher or washing machine repair may be cheaper than buying new items, depending on what the problem is, so always ask an appliance repairer in Nottingham, Nottinghamshire first. Some appliance professionals may want to work closely with Nottingham, Nottinghamshire builders, kitchen installers and interior designers, among others, to ensure your appliances fit with the building and interior design. Here are some related professionals and vendors to complement the work of appliances: Kitchen & Bath Fixtures, Kitchen & Bathroom Designers, Kitchen & Bathroom Fitters, Specialist Contractors, Main Contractors. Find a Nottingham, Nottinghamshire domestic appliance repairer, installer or seller on Houzz. Narrow your search in the Professionals section of the website to Nottingham, Nottinghamshire appliance retailers. You can also look through Nottingham, Nottinghamshire photos to find examples of rooms with appliances you like, then contact the professional who worked on them.